Nebulizers are devices used to treat asthma or other chronic lung conditions. The unit changes liquid medication into a mist, making the medication easily absorbed into the lungs. For quick results, adult nebulizer treatments are recommended to those suffering from mild respiratory issues. Asthma and bronchitis symptoms are easily cured with the help of a nebulizer much more quickly than with traditional oral administration of liquid doses. Portable nebulizers for adults are useful while traveling. 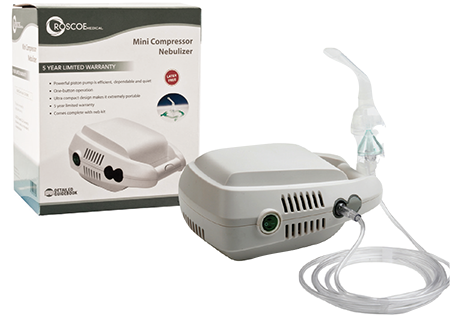 You can easily use the unit to quickly resolve any breathing problems you may be experiencing. For your convenience, GHRC offers the following nebulizers for adults.